The Ultimate Guide To Cellulite and How To Get Rid of It! Cellulite is a word every woman hates to hear. Although not a serious medical condition or disease, it’s unattractive and a constant source of frustration for many people. And unfortunately, it’s estimated that 90% of ALL women will develop it at some point in their life (versus just 10% of men). The good news is, doctors and scientists now have a much better understanding of what cellulite is and what causes it. Using that knowledge, there are now some really great ways to minimize it and sometimes temporarily get rid of it altogether! And many of them do not involve expensive surgical procedures or ridiculous lifestyle changes. You see, treating it requires a systematic approach that involves a few different products and a few lifestyle modifications. We’ll get into all of those in a second, but one thing that can be very beneficial is the use of a special cream or lotion. When used as a compliment to exercise, eating healthy, taking certain supplements, and exfoliating, cellulite creams can make a big difference in how your skin looks and feels. Now, does that mean you can slather on some expensive cream at night and wake up the next morning with your cellulite gone for good? All of which go a long way in minimizing the “orange peel” look and improving the overall health of your skin. So now that you know that certain creams can actually help with cellulitis, which ones should you choose? The internet (and most stores) are littered with different cellulite creams– all claiming to be the best. How do you know which ones really work– and which are a complete waste of money? Luckily we’ve got you covered! Because we’re always on the lookout for anything that can make us look better, we decided to start reviewing and testing out these creams. And unlike all those “fake” review sites out there, we actually buy and use the products we’re reviewing. Once we do that, we’ll let you know which creams work, how long you have to use them, what they smell like, and how they feel on the skin. Then we’ll tell you how much they cost, what ingredients they contain and if they come with any guarantees or discounts. Once you read one of our reviews, you’ll know everything you need to know to make a good decision about whether or not you should try a particular product! So take a minute to check out our ranking of the top 10 best cellulite creams. Or keep reading to learn more about cellulite and ways you can minimize it. Before we get into what treatments work best, let’s take a minute and go over exactly what we’re dealing with. Contrary to popular belief, cellulite isn’t a “different” form of fat. And while being overweight makes it more noticeable, it’s not the primary cause. It’s actually a condition that occurs when the normal fat cells found under your skin increase in size and the connective tissue found in the same area is weakened. When these two things happen, the fat cells start to push against this connective tissue, causing them to pull down. This leads to the bumpy, dimpled skin and “orange peel” look that we all dread. And, since women tend to carry more fat in their hips, thighs and buttocks, that’s where it’s typically found. 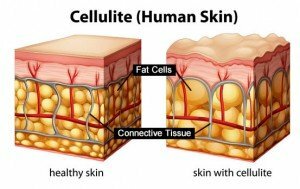 So based on all this, we now know that the best way to fend off cellulite is to 1) keep fat cells as small as possible and 2) strengthen those connective fibers (which are composed of collagen). To do those two things, healthy blood flow and circulation are VERY important. We’ll touch on how to improve on those in just a bit. For now, let’s take a closer look at what causes cellulite (and then what you can do to minimize it). So now that we know what it is, what exactly causes it? As we touched on earlier, loss of circulation and blood flood are the primary culprits. But there are a few other factors that have been shown to contribute to cellulitis formation. Genetics– some women are more predisposed to this condition than others. Thanks a lot Mom and Dad! Hormones– decreases in estrogen lead to decreased circulation in blood vessels. That’s why cellulite starts showing between the ages of 25-35. Poor Diet– not getting enough healthy nutrients and vitamins causes problems with blood flow and collagen production. This causes skin to lose elasticity and fat cells to grow. Two big no-nos if you’re going to ward off loose and sagging skin. Weight Gain– this goes along with a poor diet, but weight gain can contribute to cellulite being more noticeable. Lack of Exercise– exercise increases circulation, metabolism and muscle tone. These are all very important to keep skin healthy. Dehydration– this is bad for your cells, which can lead to problems for blood flow and connective tissue. Tight Underwear– strange but true. An elastic wasteband on underwear can cut off or reduce blood flow to areas below your waist. Exactly the location of virtually all cellulite. Coincidence? I think not. Aging– as you get older, connective tissue weakens, fat cells get larger and skin loses its elasticity. Slow Metabolism and Lymphatic Drainage– both of these tend to get worse as you age and if you don’t lead a healthy lifestyle. Thickness of Skin– if your skin is too thin, cellulite will more easily show through. This is why treatments that increase skin thickness (like retinol) work so well. As you can see, there a quite a few causes. Luckily, most of them can be dealt with simply by making a few lifestyle changes and just getting “healthier” overall. That’s obviously easier said than done, but with our help, we’ll know you’ll get there! What’s The Best Way To Get Rid of It? Now we’ve come to the question I’m sure is on your mind! We now know what it is. And we know what causes it. But how exactly do you get rid of it? To tackle that, we’re going to list the top 10, non-surgical things you can do to reduce cellulite and its appearance (in no particular order). This is really important for a couple of reasons. First, it helps you lose weight. And we know that the less fat you have, the less noticeable cellulite is. Second, a healthy diet ensures you have all the nutrients you need to keep your circulation and collagen production strong- two vital aspects when it comes to cellulite reduction. 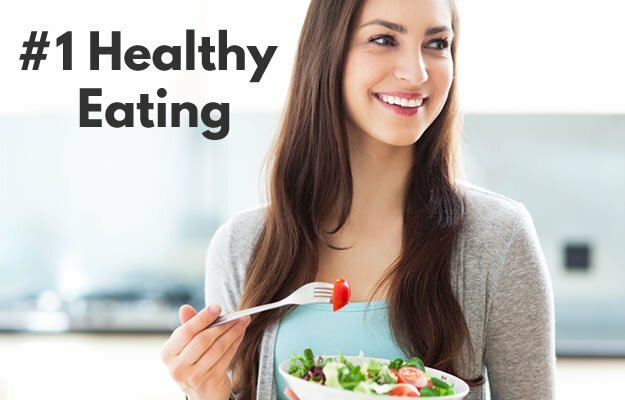 How do you eat healthy? Eat more fruits, vegetables, lean meats and fiber. And eat or drink less refined sugar, processed foods, carbs, alcohol and caffeine. If you don’t get the vitamins and minerals you need from your diet, you’ll also need to use supplements. Staying hydrated is really important for your circulatory system and cells. Plus water helps the body release excess fluids and toxins. You need to do both strength training (with weights or resistance) and cardiovascular exercise. The benefits of doing these are too numerous to list here. Just do it! This one may come as a surprise to many people. But exfoliating your skin can stimulate your body’s lymphatic system and increase skin cell turnover. Exfoliation is simply removing the dead, outer layer of skin cells and stimulating newer, fresher skin cells to come to the surface. To exfoliate correctly, you’ll need to use an exfoliator and/or the dry skin brushing technique. Undue stress triggers cortisol and free radicals, two things that aren’t good for your body and skin. Try meditation, deep breathing, yoga– whatever causes you to relax. Be sure to get enough sleep each night so you wake up feeling refreshed and energetic each day. Lack of sleep causes a whole list of problems that can affect your body in a lot of negative ways. Doing yoga and stretching can have a positive impact on your circulatory system, connective tissue and muscles. You don’t need to do anything extreme here, just a little stretching once or twice a week. Massage has been shown to stimulate the lymphatic system, which is beneficial in quite a few ways. Again, it helps with circulation and blood flow (as well as toxin removal). It’s a fact that darker skin tends to make cellulite less noticeable. And since sunlight and tanning beds are REALLY bad for your skin, we’d suggest sticking with self tanning lotions. Self tanners have come a long way over the years and are now really good at giving people a safe, glowing tan. Used in conjunction with the other measures we’ve just discussed, certain creams can be very effective in helping to reduce the appearance of cellulite. Areas that have cellulite tend to be dehydrated and damaged, and thus will benefit from topical creams and lotions that moisturize and protect them. A good cream can also improve circulation in the skin. Some ingredients in these creams, like retinol, can really help. 10 proven ways to get rid of cellulite (or at least reduce its appearance). Doing one or two of these will help, no doubt. But you’ll really start to see some amazing results if you can incorporate all of them into your lifestyle. In fact, the more of them you follow, the quicker and better they’ll work together to maximize the cellulite-busting results you’re looking for! Before we move on to the next section, we compiled a complete list of all the different treatments out there– from simple things you can do at-home all the way to surgery and drugs. Click here to check it out. Also take a look at our post on how dry skin brushing can help get rid of cellulite. It’s a technique a lot of people are unfamiliar with. Are There Any Treatments That Permanently “Cure” Cellulite? Before we move on to talk about our readers’ favorite subject, specialized creams, we want to make one thing clear. There aren’t any treatments that are a magic bullet that will instantly cure your cellulite overnight. That would be nice, but it’s just not the reality. Now, we truly believe the right cellulite cream, combined with a few lifestyle changes, can do some really great things to help minimize the appearance of your cellulite. But if you think you can just slop on any old cream, or get an expensive laser treatments at a doctor’s office, and permanently kiss cellulite goodbye, you’re sure to be disappointed. And since there’s no permanent cure, it’s something that must be dealt with and treated on a constant basis. We’re not trying to be negative here, we just want you to know the truth to keep your expectations in check. So again, cellulite without a doubt can be minimized and reduced. And things like cellulite creams, diet, exercise, supplements and exfoliation definitely help. But keep in mind it takes time, diligence and discipline. So please don’t expect any “miracles” to happen overnight. Now let’s move on to specialized creams and how they can help in your battle with this unsightly condition! Wondering about the surgical treatments available for cellulite? Then check out this post we wrote entitled, “Are Lasers and Liposuction Really The Best Treatments For Cellulite Removal?“. 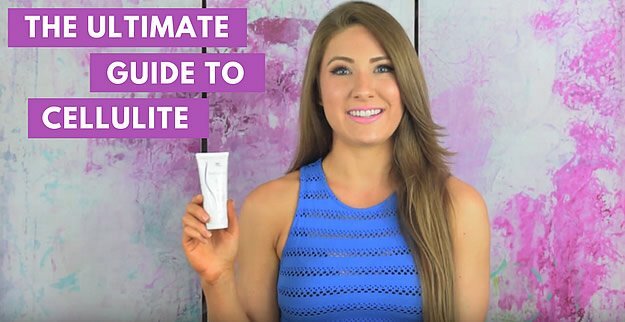 How Do Cellulite Creams Work? Although there’s no permanent “cure” for cellulite, using an effective cellulite cream can be an important weapon in your fight against cellulite. Just as strengthening your skin from the inside-out by changing your diet and staying hydrated can help, it’s also important to strengthen it from the outside. And one of the best ways to do that is by using a specially-formulated cellulite cream. So what exactly can one of these creams do? First, they can strengthen blood vessels and increase blood flow. By now you probably realize the importance of circulation for the treatment of this and any other skin condition. Second, creams can help hydrate the affected area and attract water to cells. Third, they can prevent free radical damage by supplying much needed anti-oxidants. Fourth, they can reduce inflammation. And fifth, these creams can promote exfoliation, which helps bring newer, stronger cells to the surface of your skin and also increases the efficiency of topical ingredients. Now you can see why we recommend the use of cellulite creams as part of your cellulite treatment regimen! For more on what makes these creams effective, take a look at our article called, “9 Ingredients You Should Look For Before Buying Any Cellulite Cream“. So What Are The Best Cellulite Treatments For 2019? So now that you understand how specialized creams can play an important part in reducing the appearance of unsightly cellulite, you’re probably wondering which ones work best? The problem for many women when it comes to treating this condition is all the misleading or downright wrong information that’s floating around out there. We’ve heard and seen some pretty crazy ideas and products online that promise to magically “cure” cellulite overnight. Unfortunately, it just doesn’t work that way. 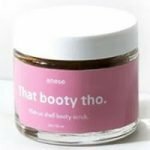 So, in order to help clear things up, we decided to try out all the different cellulite-focused products we could find to see which ones held up to their claims. We buy them in the form of creams, lotions, mousses, gels and sprays. Once we get them, we take some time to evaluate them on a whole list of different criteria. We’ll first look at how well it worked in reducing the “orange peel” look, of course. But then we’ll also look at things like how easy it was to apply, how long it lasted, what ingredients it has, how it smells, and how it makes your skin feel. Finally, we’ll look at packaging size, cost and “bang for the buck”. Basically we evaluate them on everything that’s important to you when it comes to buying one of these products! To help you pick the right one, we’ve personally compiled a ranking of the best creams currently available. We’ll try out new products every month, and update these rankings whenever necessary. 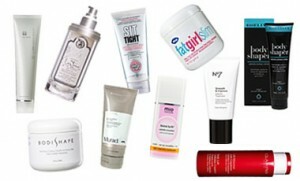 Click here to see our most recent list of the best cellulite creams.